Our offered steel disc mill of model-2A is best suited for extremely quick, loss-free and reproducible grinding of medium-hard, brittle and fibrous materials to analytical fineness. This type of disc mill is widely acknowledged at global level due to its smooth and steady operation. Popular in the agricultural sector, these mills are also used for milling corn and grains after harvest. All the disc mills are engineered in accordance with the statutory standards and norms. Available in size of mill 250 mm. Basically, a standard Steel Disc Mill of model-1A is integrated with a series of steel plates, or discs, that rotate within a machine. 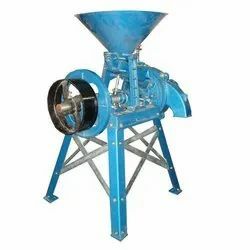 Our model 1A of Steel Disc Mill is extensively used in many industries for crushing stones, metal, or other materials. One can easily change the discs from smooth to serrated edges depending upon the type of material being crushed or ground. This type of disc mill can also be used for shredding purpose by just attaching blades or spikes to the discs. 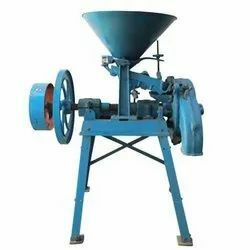 These Steel Disc Mills of model 1A are extensively used in many industries such as construction, metallurgical, ceramics industries for grinding, crushing, cutting and shredding. Looking for Steel Disc Mill ?